Unlike last’s month of only Virtual Console titles, Nintendo has spread out their Club Nintendo digital downloadable offerings in a way that should appeal to a wider audience. Summary – Mario, Princess, and unlikely heroes Mallow and Geno team up to stop an intruder called Smithy in this timeless 1996 Square/Nintendo team-up RPG. Opinion – This was a quality experience back in the SNES’ heyday and still holds up today. 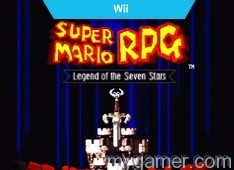 This game also inspired the beginning of the popular Paper Mario RPG series too. Worth Your Club Nintendo Coins? – Absolutely. Back when Square and Nintendo were best buddies, they outfitted Mario with a superb RPG experience from beginning to end. Summary – Three retro style puzzle/reflex games that encourage multiplayer gameplay. 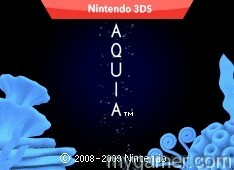 A version can also be transferred to 3DS and DS systems. Opinion – I have never played this game but seems like it offers a different type of gaming experience. Is probably most enjoyed playing with three players. Worth Your Club Nintendo Coins? Maybe. 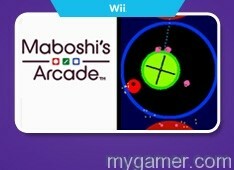 Maboshi’s Arcade is undoubtedly unique; where else can you and a couple friends play against each other via different games? However, this title was a part of the Club Nintendo program back in 2012 so there is a chance you might have already downloaded this WiiWare game. 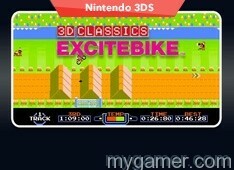 Summary – This is classic NES Excitebike but outfitted with 3D support like the other games in the 3D Classics series. Opinion – Excitebike was unique racer back in the NES era and still holds up today. Luckily, the ability to save custom made tracks is a much welcomed feature. Worth Your Club Nintendo Coins? – If you never played Excitebike or are a fan of the NES titles, then yes. Alternatively, check out Excitebike World Tour on WiiWare; it has online support. Summary – An underwater puzzle game involving moving blocks horizontally and vertically to make a diver dive deeper. Three different modes. Opinion – Never played it. Looks like classic match-3 gameplay but makes a diver dive deeper instead of concentrating on a high point total. Worth Your Club Nintendo Coins? – For the lower cost of 100 Club Nintendo coins, it might be worth to check out. This is not the first time Nintendo has offered their Art Style series of games for their Club Nintendo program but each game in this series stands for something a little more nontraditional. For veterans of the Club Nintendo program, there is a possibility that you might have Coins expiring on June 30th. Besides the four games listed above, Nintendo should be offering one last batch of four games before the June 30th expiration date. Point being, if you have been saving coins, you will need to spend them soon. Finally, Gold and Platinum status will reset back to zero starting on July 1st. This means there is less than two months remaining to reach these year-end status symbols to earn those coveted bonuses. For more information about Club Nintendo click HERE.